A road bike is simplyone of the best ways to get around andexercise at the same time. Not everyone has access to good mountain biking trails or the desire to tackle that toughterrain every day. A touring bike won't be the best option if you want to improve your fitness or even commute to work, either, as their design focuses on rides over a short distance and for leisure. Where do you go once you've chosen to buy a road bike, though? There are a lot of elements to consider, and depending on your budget, a new bike can come with a hefty price tag. Avoiding buyer's remorse and the frustration of making a return or exchangemeans equipping yourself with the right information to start. Heading into a bike shop without any research or preparation can be an overwhelming experience, though, and it can leave you at the mercy of a pushy salesperson. For that reason, it's best to spend some time thinking about what you need from a bike and how much you can afford to spendon this pursuit. Consider what you need to keep in mind when you go to buy a road bike and some of the brands you give the most serious consideration. 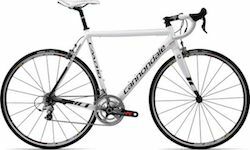 What features should you look for in a road bike? Your primary concern when purchasing a bike should be to find the right combination of features for what you want to achieve. Most often, this means looking at attributes such as the material of the bike's frame (aluminiumis most common, but carbon fibreis lighter and more manoeuvrable), the wheels, and the gearset. Japanese firm Shimano produces a much-loved group set known as the Ultegra, which is a must-have for many cyclists due to its smooth shifting and long-term reliability. Hydraulic brakes are also the latest innovation to keep on your list, but as always, your budgetwill determine which of these features you can afford. What are the most trusted brands to consider? Colnago: An Italian bike company with a famous pedigree, these bikes are frequently high-end and more expensive, but they have begun to produce more budget-friendly options as well. Cube: A German business that got its start in mountain bikes, Cube now produces a highly reliableand well-engineered range of more affordable road bikes as well. Of course, there are many more out there — too many to list! Your best bet is to ask friends or enquire at your local bike shop. Speaking of enquiries, what should you want to know during the purchasing process? To kick off your search, try keeping these questions in mind while browsing models, and don't be afraid to ask a clerk for help. How much does the bike weigh? Weight influences handling and how difficult a bicycle may be to ride and get up to speed. What upgrades are available? Some bikes are easierto modify than others, something you should know for the future. Are there different model versions available? See a bike you like but think it's just a bit too expensive? There may be a less expensive model with slightly different features available. What is the reliability ofthis model? You'll want to know how often you'll need to restock your repair kit. What does this bike do best? Some cycles work best for climbing; othersperform best over long stretches of flat ground. Find out where each model you examine trulyexcels before you buy. Since budget matters so much when it comes to shopping for bikes, it's tough to merelylist two or three bikes with the label of "the best." For that reason, it makes more sense to break these bikes down into several categories. Here are some of the best bikes in their respective price brackets so you can match one to your budget. 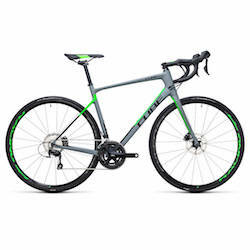 The Cube Attain line: A solidentry-level bikefor endurance riders, at £999 this bike comes with a lot of high-end features without the high-end price. The Canyon Endurance: A crossover model that balances racing attributes with the endurance features used by fitness riders, this £999 bike is an excellent place to start and build your skills. Trek Emonda SL6: Hailing from the US but coming with a price tag that clocks in £2,250, this is a lightweight bike that lets you put more power intoevery stroke when you aren't fighting against a heavyframe. Light wheels that are easy to maintain also make this an attractive choice. Giant Defy Advanced: Planning to commute? This road bike works with a bigger budget at £1,850 while featuring a saddle and frame designed for longer rides. Premium features such as hydraulic brakes help justify the price tag. Colnago CRS: For a smooth, comfortableride that you can always control, this Colnago bike (£2700) features a Japanese-engineered gearset and drivetrain, a highly durable frame, and tubeless tyresfor an excellent overall product. Anything above £3000 is for the serious enthusiast only. If you aren't planning to race or compete heavily, then there usually isn't a reason for the average cyclist to spend so much cash just on a bike. You'd be better off purchasing a less expensive bike and making upgrades. If you're seton an ultra-expensive bike, though, there are a few models that should get your attention in particular. Scott Foil 10-disc bike: Tired of switching gears yourself? Pay £4300 and take advantage of this pro cyclist-branded bike with electronic gears, a carbon fibreframe, and bragging rights to use on your cycling friends. BMC Roadmachine: A cute and colourfulbike with a less-cute price of £4300, this bike has visited the winner's circle in several competitive cycling events. Look 785 Huez: Pure aerodynamics and pure speed: an ultra-lightweight bike that weighs less than 6 kilograms and will keep you flying ahead of the competition. It will also ensure cash flies out of your bank account to the tune of a £8200price tag. Knowing the right info about bikes before you start shopping is essential, but no amount of research can replace experience in the saddle. If you're serious about a model, be sure to ask the shop owner for the opportunity to take it for a test ride. Even if that's justup and down the length of the store's display floor, it can help you develop a feel for the bike. If you aren't comfortable, move on to another model. If you find it's the best ride you've ever experienced, well, you know what the next step is then! With a smart purchasing strategy for road bikes, you can set the stage for future fitness improvements and an enjoyable experience cycling around your locale. This article is exclusive to Sports Fitness, where you can shop for cycling clothing and accessories. Pick up some winter cycling gloves or a new pair of padded shorts today.